SPECIAL DEAL - Usually 27.97, today just 17.97 - Save £10! 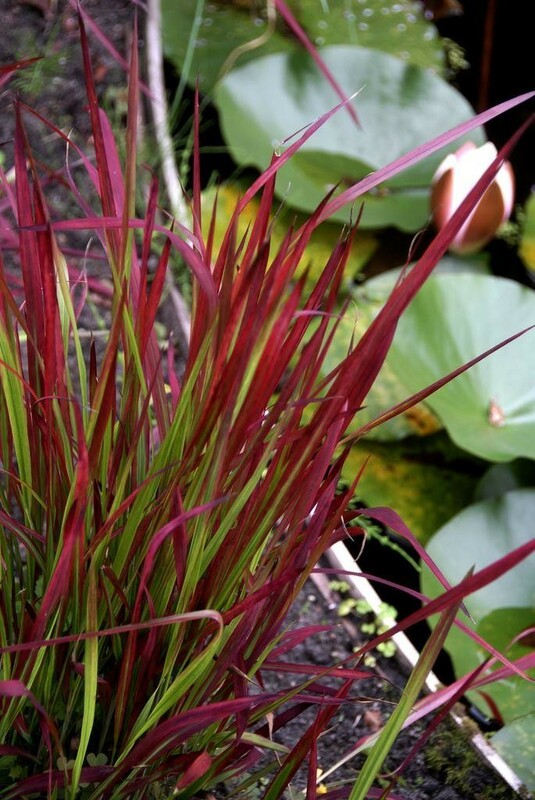 Imperata cylindrical Rubra, better known as 'Red Barron' or Japanese Blood Grass is one of our favourite ornamental grasses for the simple reason of it's vivid and unusual colours - there is not other ornamental grass available quite like it. 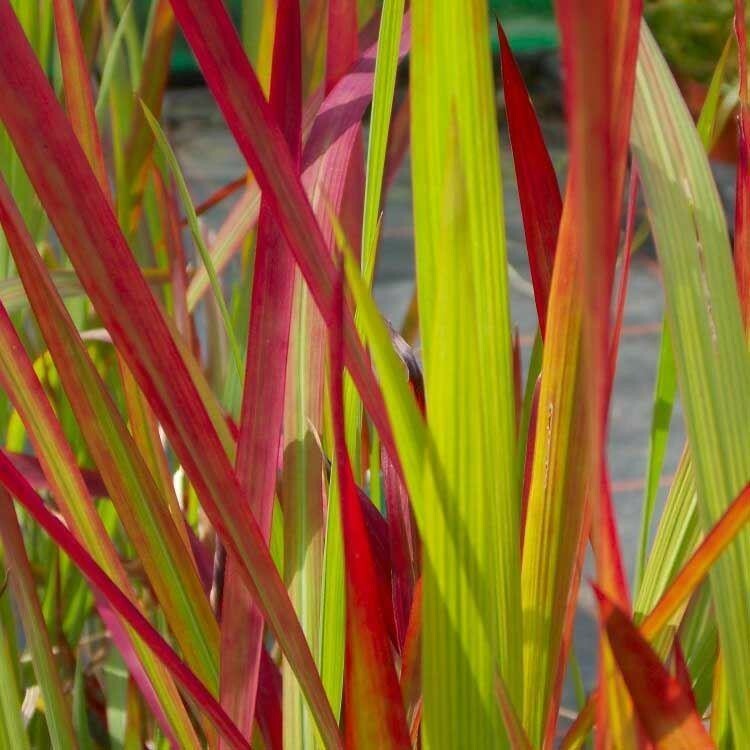 The foliage of this stunning herbaceous grass is quite literally blood-red, fading off to a nice shade of bright green at the base of the plant, which only goes to highlight the vivid red colouration of each foliage blade. 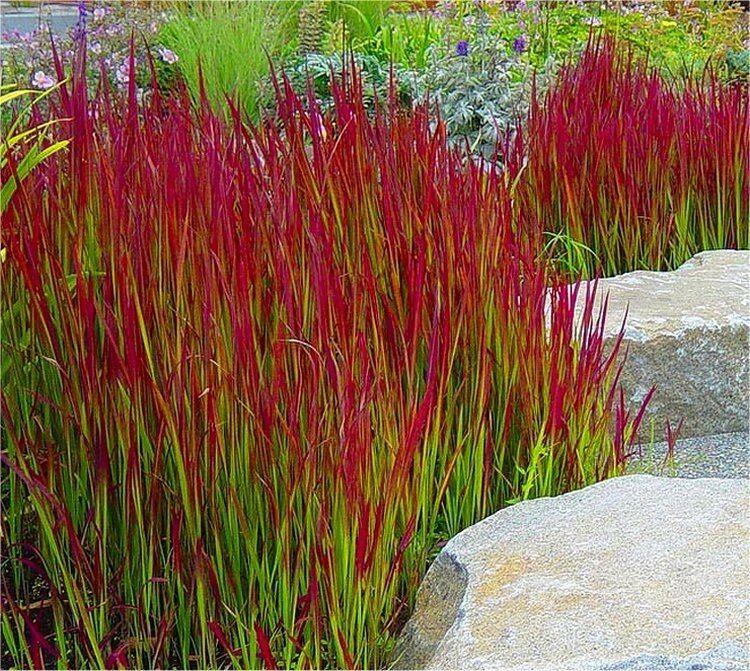 This spectacular grass will make a fantastic addition to any garden and looks particularly good teamed with other grasses and perennials. Planted around a garden pool, it looks stunning in the reflections of the rippling waters. Try in your patio planters for a dramatic uplift under planting with darker foliage such as deep purple Heucheras.